Phylogenetics is an important component of the systems biology approach. Knowledge about evolution of the genus Leishmania is essential to understand various aspects of basic biology of these parasites, such as parasite–host or parasite–vector relationships, biogeography, or epidemiology. Here, we present a comprehensive guideline for performing phylogenetic studies based on DNA sequence data, but with principles that can be adapted to protein sequences or other molecular markers. It is presented as a compilation of the most commonly used genetic targets for phylogenetic studies of Leishmania, including their respective primers for amplification and references, as well as details of PCR assays. Guidelines are, then, presented to choose the best targets in relation to the types of samples under study. Finally, and importantly, instructions are given to obtain optimal sequences, alignments, and datasets for the subsequent data analysis and phylogenetic inference. Different bioinformatics methods and software for phylogenetic inference are presented and explained. 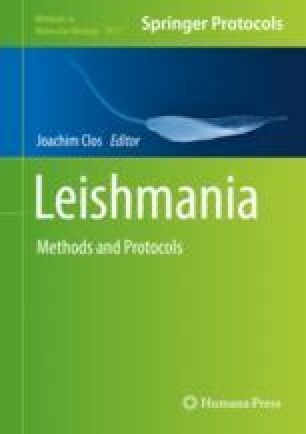 This chapter aims to provide a compilation of methods and generic guidelines to conduct phylogenetics of Leishmania for nonspecialists.